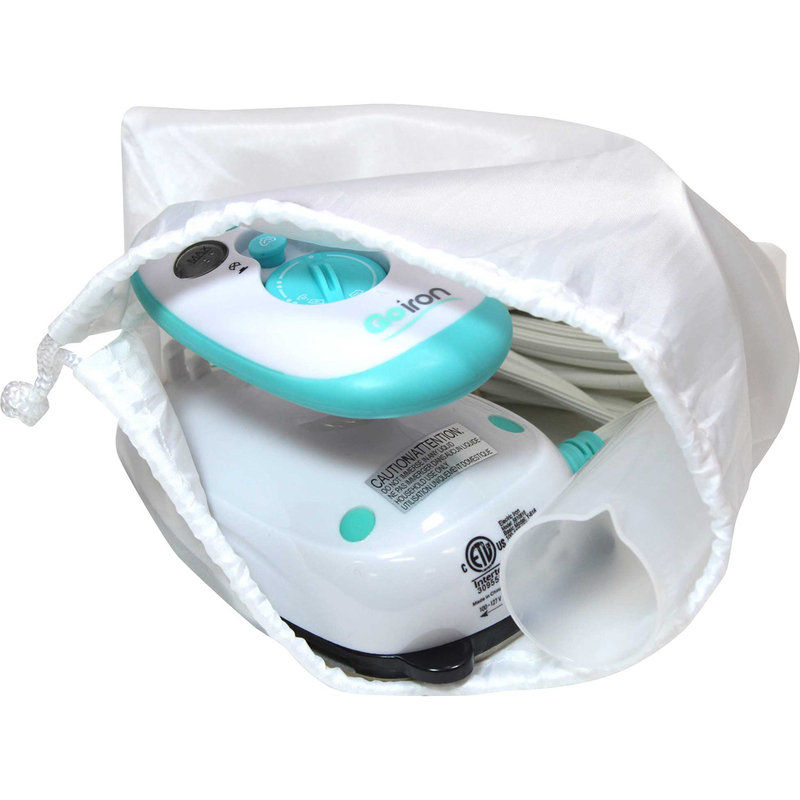 Exceptionally compact travel steam iron. Rubber ring around the handle for a comfortable ergonomic fit. Non-stick soleplate. Dry / continuous steam. 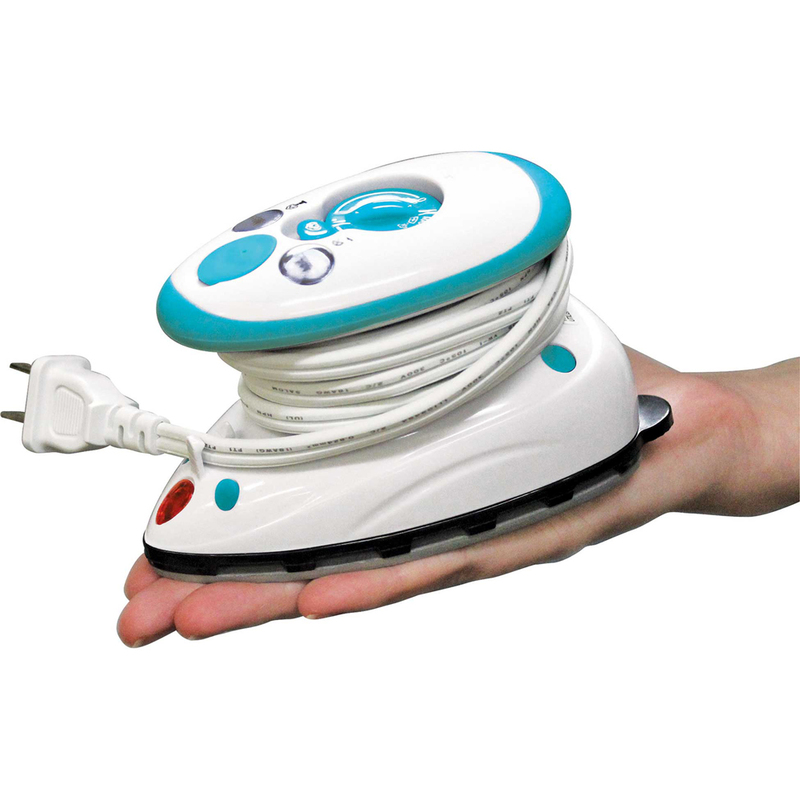 Dual voltage 100 V - 240 V. Heats up quickly - 30 seconds. 40 ml water tank. 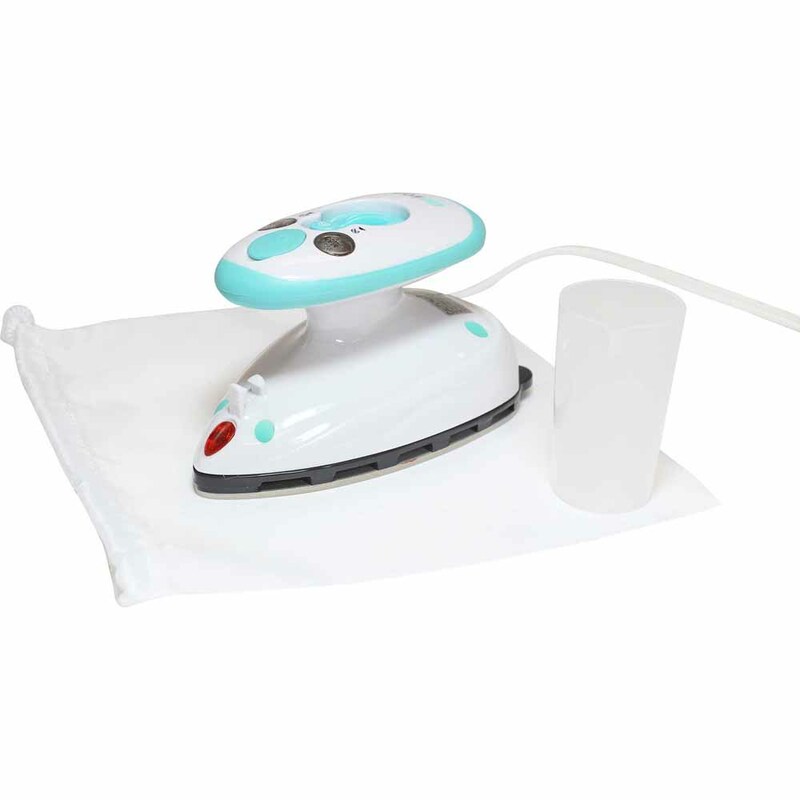 Includes: water filling cup & storage bag. 1 Year Limited Warranty.